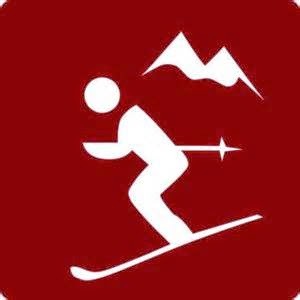 Note: This is the last post of the Eagle County PIO group in supporting the 2015 FIS Alpine World Ski Championships. This site will be reactivated in the event of an emergency for dissemination of critical public safety information. Take time to sign up for future alerts from this site, follow us on Twitter @EagleCountyPIO and on Facebook at EagleCountyPIO to receive future updates. After 14 days of thrilling races and phenomenal hospitality throughout Eagle County, the 2015 Alpine World Ski Championships have come to an end. The memories of gold medal runs by Mikaela Shiffrin, Ted Ligety, Tina Maze and the heartwarming efforts of Lindsey Vonn, Bode Miller and the other athletes will be remembered for years to come. The Local Organizing Committee has received accolades from the FIS for hosting an event that has exceeded expectations on all fronts with an estimated 130,000 spectators filling the stands for the races and crowds of upwards of 200,000 when the ancillary events at Championships Plaza at Solaris in Vail and Après Avon are included - plus an estimated television reach of 1 billion viewers. All the while, more than 700 public safety representatives worked to strike a balance in creating a friendly and secure environment under the leadership of a unified command structure headed by Vail Police Chief Dwight Henninger, Eagle County Sheriff James van Beek, Colorado State Patrol Major Barry Bratt and Eagle County Paramedic Services CEO Fred Morrison. The legacy of the 2015 Organizing Committee and Public Safety Command will live on with more than 2,000 staff and volunteers that have been trained in the “If You See Something. Say Something” community awareness program. Our thanks to everyone for their support and participation. Members of the Public Safety Command Group during a morning briefing. It takes more than a village to host an event such as the 2015 World Alpine Ski Championships. Joining local efforts to make this a fun and safe event is nearby Lake County Office of Emergency Management. The Director of Lake County Office of Emergency Management Mike McHargue has served as Joint Information Center Manager and Leadville/Lake County public information officer Betty Benson has served as JIC staff and field PIO during the event. The JIC is the coordinating body of information to the public and media. “We believe there is great value in helping our neighboring county whenever possible and developing stronger ties with all agencies in Eagle County, said McHargue. "We also believe that being involved with this well organized effort enhances our skills and broadens our perspective when an event occurs in our county or when we assist other counties,” said McHargue. Thanks to the Western Enterprises Fireworks crew for their dedication, expertise and professionalism in delivering the fireworks entertainment during the 2015 Alpine World Ski Championships. 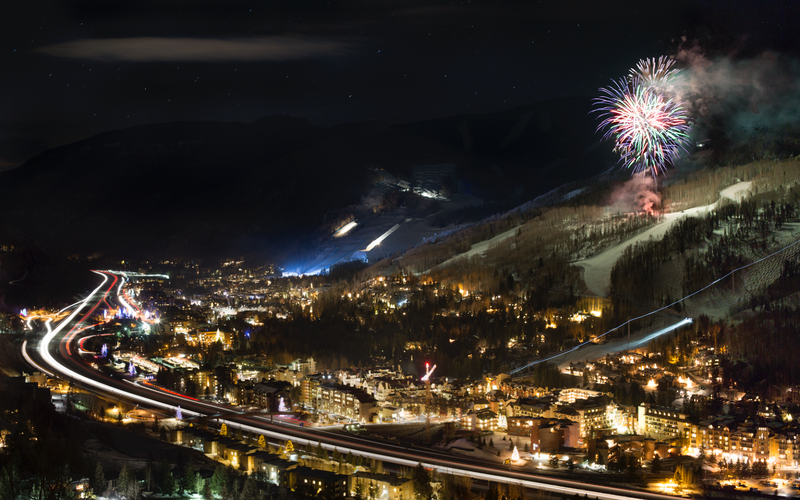 From the opening ceremonies and every night since, the fireworks team from Western Enterprises have lit up the sky above Vail Village to celebrate the Championships. The crew, comprised of local residents who all work full time jobs and volunteer their time, have been preparing for this event for years. They have spent countless hours digging out sites from snow, building racks and staging equipment. After the closing ceremonies, the crew will continue their work by breaking down equipment and cleaning the shoot area. The team of men and women are a unique group of people who have extensive experience in pyrotechnics as well as lighting and choreography. They are proud of their work and enjoy sharing the thrill of fireworks with the public. Through coordination with other organizations and hours of commitment, the crews have created fantastic shows and entertained the crowd every night of this special event. The closing ceremonies on Sunday at Red Tail Stadium in Beaver Creek will surely be spectacular with a daytime fireworks display. You won't want to miss this one-of-kind send off of the 2015 Alpine World Ski Championships. 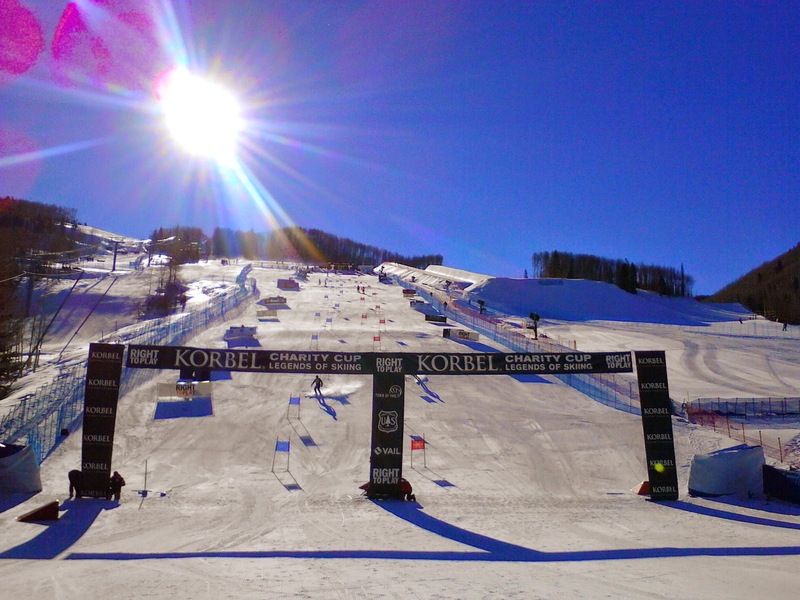 Red Tail Stadium in Beaver Creek hosts the final races of the 2015 FIS Alpine World Ski Championships on Sunday, Feb. 15. The first run of the Men's Slalom starts at 10:15 a.m. Stick around between races and enjoy the festivities until the second run at 2:15 p.m.
Don't head down the mountain too quickly - the medals ceremony for the Men's Slalom will be held at 3:30 p.m. at Red Tail Stadium. Then, Vail and Beaver Creek will “pass the torch” to Vail’s sister city, St. Moritz, Switzerland during the Closing Ceremonies, also at Red Tail Stadium. Live music, fireworks and more await fans as Vail and Beaver Creek say goodbye to the world. The Colorado Department of Transportation expects heavy traffic over the holiday weekend, so before you get on the road, be sure to call 511 or check www.cotrip.org for the latest updates. Thanks for the memories! The Boulder County Sheriff’s Office has four deputies working and experiencing the 2015 Alpine World Ski Championships alongside the Vail Police. We all understand the safety and security of the participants in the events, the residents of the Vail Valley, as well as the international visitors is best accomplished through a cooperative effort between agencies. The lessons learned by every event are utilized to ensure success in the future. All four deputies are avid outdoor enthusiasts, which motivated them to request to participate. Two are working in the event command post as Logistics Section Chief and a Safety Officer. One is working alongside Vail Officers on night shift patrols and the third has been deployed with his K9 partner to secure the event venues. The Boulder County Sheriff’s Office is eager to lend a hand and build cooperative relationships with other organizations as we all learn a great deal in large scale events. Success in preplanned events such as the AWSC relies on relationships fostered between agencies and helps ensure success in unplanned events such as fires and floods. It takes more than a village to put on an event such as the 2015 Alpine World Ski Championships. Given its significant role, Vail Resorts has been working with numerous public and private sectors since the FIS announced in 2010 that Vail-Beaver Creek would host this year's Championships. Relationships have been strengthened through this planning process and are vital to providing a seamless experience to the community’s many international guests throughout the Championships. In addition to its focus on providing guests with the experience of a lifetime, the partnership and communication during the Championships will continue as everyone works together in the future. Vail Resorts has been proud to work with such committed individuals and agencies and is grateful for the support in the execution of such a successful event. The Field Services staff includes regional field managers and exercise specialists. They bring technical support in the areas of mobilizing and securing the resources necessary for the county to meet the needs of the event. Their support begins before the event with exercises and incident action plan development, continues with onsite support during the event and includes post-event evaluation. The Strategic Communications team began its work more than three years ago as well through the support of exercise and training programs to support the now operational Joint Information Center (JIC). This training included most public and private partners involved in the event. The Strategic Communications team also worked within the JIC to support the local public information officers and to manager the Colorado Virtual Operations Support Team as it monitored the conversation on the web related to the event. The State Emergency Operations remained virtually activated to support the needs of Eagle County and ready to respond to any requests for additional resources. The Colorado Information Analysis Center worked with the local, state and federal law enforcement agencies to support the public safety needs of the local jurisdiction. They worked during the event in the Joint Operations Center. 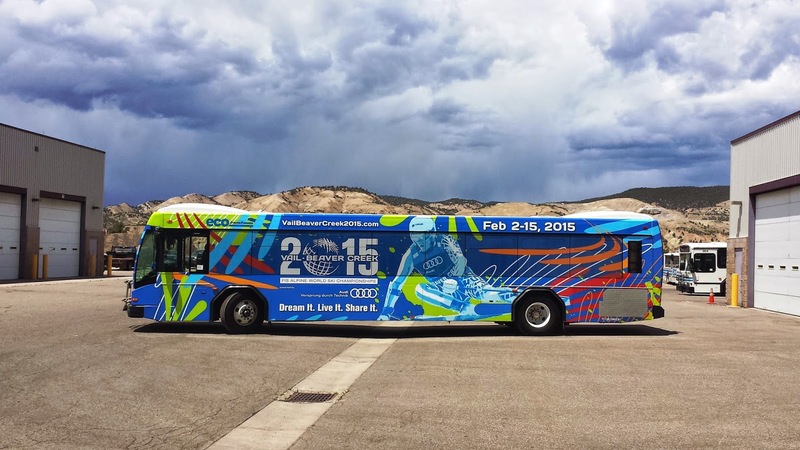 As part of the celebration of 2015 FIS Alpine World Ski Championships, five of ECO Transit buses are sporting custom wraps featuring the event’s artwork. The buses have been in service since last June. Residents and visitors throughout the valley have been seen taking photos of the eye-catching designs. ECO buses have also garnered their own 2015 commemorative pin. ECO Transit provides regional service to the Eagle Valley and beyond, 21 hours per day, through a fleet of 31 buses. For more information, visit www.eaglecounty.us/transit. He was here in 1989. And again in 1999. And now as he experiences his third Alpine World Ski Championships in 2015, Vail Code Enforcement Officer Kurt Mulson could write a book about his observations. He’d start by listing three differences between now and the previous Championships: improved technology, increased use of the Incident Command system to manage large-scale events and the potential threat of terrorist activities. Then he’d describe his personal experiences. Unlike the warm temperatures that have welcomed these races, Officer Mulson’s main memory of the 1989 Championships was the bitter cold that was present for most of the two weeks of the event. “There were nights of ten below to 30 below,” he recalls. Mulson, a retired police sergeant, also notes the Vail police officers’ uniforms and patrol cars have changed for each Championship. In 1989 he was dressed in a tan shirt, brown slacks and tan coat. In 1999 the Vail PD wore light blue shirts, dark blue slacks and dark blue coats. This year the officers are wearing the more traditional dark blue shirts, slacks and coats. The patrol cars have evolved from Saabs, to Ford Explorers, to Volvos, and now the officers drive the Ford Interceptor police cars. Mulson says he’s also had a different Chief of Police for each of the Championships with Dwight Henninger leading the department today. The one constant for the officers during all three events is dealing with people from all over the world. This means interfacing with people that don’t speak English, recognizing cultural differences and the challenge of holding people accountable for their actions in a firm but fair manner. He says it can be a challenge at times. And about that book? He’s already written one. These international events can have unexpected and humorous turns during two weeks. This was the main reason Mulson wrote “Cops Are Human, Too” after he retired from the department following a 30 year career. 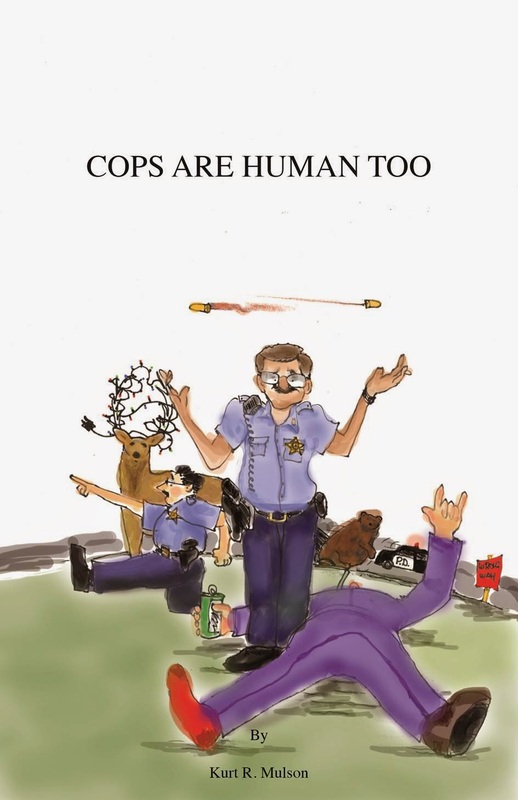 The theme of the book is about some of the funny and crazy situations police officers can get themselves into despite all their training and experience. Mulson, who couldn’t stay retired for long, has returned to the Vail Police Department as a code enforcement officer. Perhaps a sequel is in the works! Happy Valentine’s Day from the Vail Public Safety Communications Center which has partnered with Starting Hearts to launch the PulsePoint CPR/AED mobile app to help increase sudden cardiac arrest survival rates in Eagle County. PulsePoint is tied to the county’s computer aided dispatch system and notifies users who have signed up for the app that are within a half-mile of the person in need of emergency intervention. The app then sends the user a map to the location of the person in need of CPR and the nearest public access location to an automated external defibrillator. Since its launch, more than 500 people have signed up to receive the alerts. To date, 157 AEDs have been placed in high-traffic locations around Eagle County. Pulsepoint tracks these locations and also has a feature to collect user data. If a citizen sees an AED that isn’t yet in the map, they can take a picture of the AED, send the picture along with the location to Pulsepoint, and a Starting Hearts member will verify the location and add it to the map. To access, a list of AEDs and their locations, click here. Just a reminder, February is Heart-Health month, Starting Hearts is hosting its annual event to promote heart health on Feb. 20 at the Four Seasons Hotel in Vail. Registered participants will receive health screenings and enjoy a heart healthy lunch along with a presentation by Dr. Michael Bristow who will talk about genetically targeted cardiovascular drug treatments. To register, log onto StartingHearts.org. Get ready for a jam packed Saturday at Vail and Beaver Creek! First up is the Ladies' Slalom Run 1 at Red Tail Finish Stadium in Beaver Creek at 10:15 a.m. At the same time, the Men's Slalom Qualification Run 1 will take place at Golden Peak Stadium in Vail. At 2:15 p.m., Ladies' Slalom Run 2 and Men's Slalom Qualification Run 2 will take place in Beaver Creek and Vail, respectively. Be sure to catch the Athlete Signing in Beaver Creek Village at 4:30 p.m., the medal ceremony for Ladies' Slalom at Championships Plaza in Vail at 6:30 p.m. and the free concert featuring Ceelo Green at Championships Plaza at 6:45 p.m. Please remember that crowds are expected to be heavy during this holiday weekend so plan on arriving early for the best seats and to enjoy the pre-race activities. Spectators are reminded that all bags will be searched prior to entering both venues. For important information on the bag screening process, visit the Event Venues page at www.vailbeavercreek2015.com. Parking for the Championships will include the Elk, Bear and Rodeo Lots in Avon, in addition to the 290 public on-street and off-street parking spaces in Avon's Town Center. Parking structures in Vail will be open. 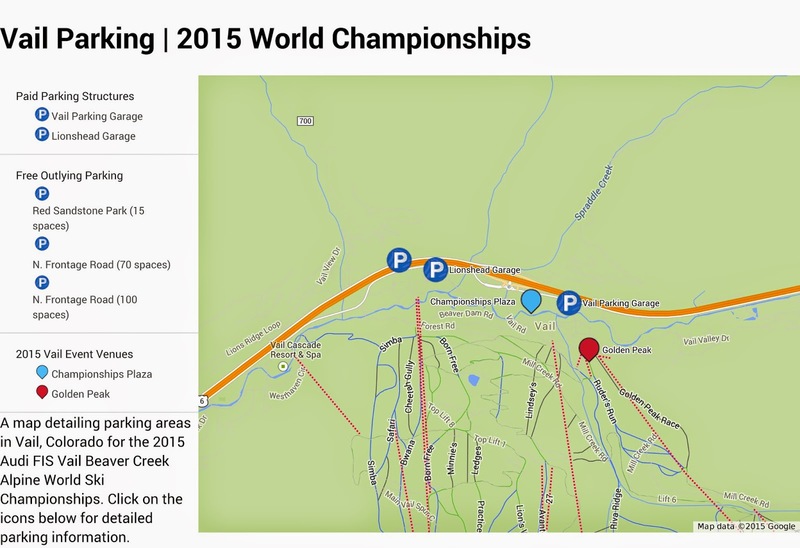 Follow @Vail2015 on Twitter for updates on parking. The Denver FBI has been involved, from a federal perspective, in the security planning process as a member of the 2015 FIS Alpine World Ski Championships Safety and Security Committee since 2013. The FBI provided special events planning expertise and technological support prior to the event, as well as situational awareness, technical, and response capabilities during the Championships. The FBI is proud to be able to support its numerous partners in the Vail, Beaver Creek area to ensure a safe and enjoyable event for all. 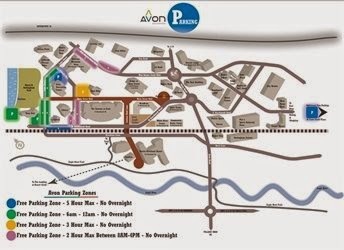 If you plan to attend the 2015 FIS Alpine World Ski Championships this weekend and find yourself wondering where to park, please keep in mind that there are 290 public on-street and off-street parking spaces in Avon's Town Center. All parking is free, with various time limit restrictions. There is no overnight parking at any time. There are four public parking areas within Avon's Town core and the 290 on-street and off-street parking spaces are described below and shown on the map below. 6 a.m. to 12 a.m.
All premium pass products, school employee pass products and student pass products are valid for skiing and snowboarding on Saturday and Sunday. Restricted pass holders may ski or snowboard on these days by showing their pass and purchasing a discounted lift ticket at any ticket window; rate varies by pass type. Restricted season pass holders with lift charging privileges will automatically be charged the applicable rate on their credit card when the restricted pass is scanned at Vail and Beaver Creek on Saturday and Sunday. If you have any questions or concerns, please call the Vail Mountain Information Center at 970-754-8245. Information courtesy of Vail Resorts. Audi has brought the excitement of its Winter Driving Experience (AWDE) to the 2015 FIS Alpine World Ski Championships.The experience has been hosted in Nottingham Park in Avon and will conclude on Saturday. Participants have had the opportunity to drive the Audi S3, Q3 and allroad and work with Audi instructors on mastering a variety of skills beneficial for driving during the winter months. If you've not had a chance to make it to AWDE, please remember that winter driving conditions can return at any time. Be sure to carry plenty of windshield wiper fluid as liquid de-icers used to treat the roadways may stick to your windshield. Let the snowplow drivers do their jobs by giving them extra room. Slow down! Even roads that have been treated with liquid de-icers may be slippery. Don’t use cruise control when traveling in winter conditions. Be prepared. Have a scraper, snow brush, coat, hat, gloves, blanket, first aid kit, flashlight, tire chains, matches and nonperishable food in your car. Make sure your tires have good tread. Information on road conditions is available at www.cotrip.org or by calling the toll free number at 1-877-315-7623. When calling from anywhere in Colorado, dialing 511 will also access statewide road reports. Get road conditions directly to your smart phone or tablet using the free CDOT mobile app. Watch the path ahead and move slowly as there is a likelihood of ice beneath the snow. Parking lots and walkways can be hazardous; be aware of potential changes in walking surfaces. Remember the game of "telephone tag," where the last person in the line of communication ends up with a completely different message than the one originated by the first? 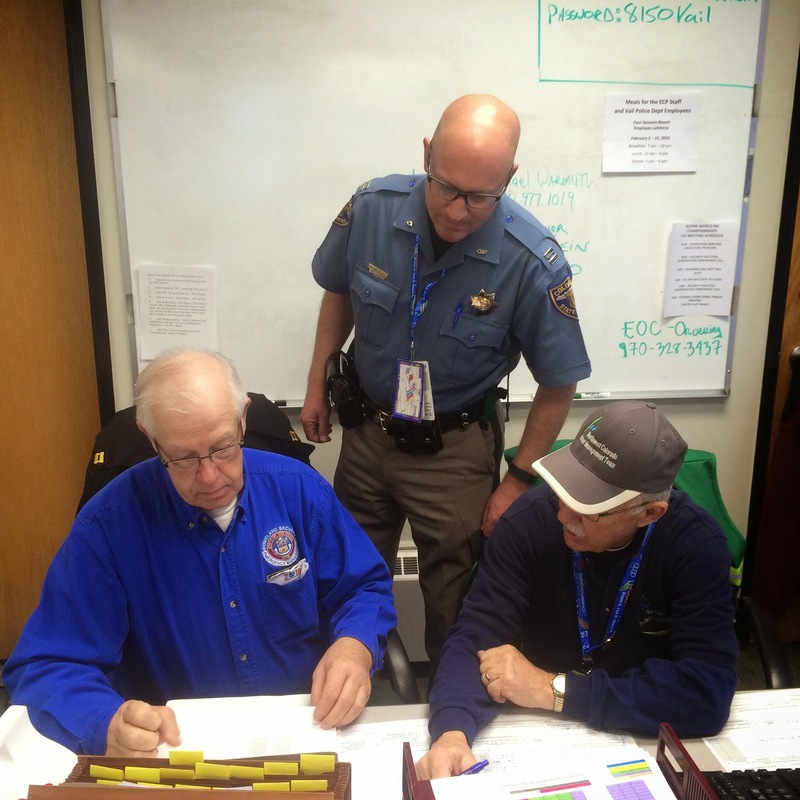 During the 2015 Alpine World Ski Championships, Public Safety Command has formed a Joint Information Center (JIC) to avoid just that situation. The JIC has been activated to support the event’s messages and alerts by helping to keep stakeholders informed in a timely and coordinated manner. This includes dissemination of parking, traffic, road conditions and other public safety announcements through various social media platforms and websites to supplement event-related announcements on the official sites: www.vailbeavercreek2015.com, @Vail2015 on Twitter and the Vail2015 free mobile app. The JIC is also responsible for fielding media requests and providing information on the role of Public Safety Command and its 700-plus agency representatives that are here to support the Championships. That role includes providing an enjoyable and professional environment for participants, spectators, guests and responders while ensuring a safe and secure event; ensuring a continued level of high quality public and emergency services to the Eagle County community; providing a coordinated response with all public safety agencies, security facilities, the organizing committee and Vail Resorts; and remaining alert to suspicious activities. Leading the JIC are Town of Vail Community Information Officer Suzanne Silverthorn, Eagle County Communications Director Kris Friel and Eagle River Fire Protection District Community Risk Manager/Public Information Officer Tracy LeClair. They are joined by participating local and state agency public information officers who are gathering and analyzing information, writing news releases and stories for social media, and are in the field at the various venues getting first-hand information and photos. All news releases, incident photos and updates are posted to the Eagle County Public Safety Information website at www.ECEmergency.org, the Eagle County PIO Facebook page at www.facebook.com/eaglecountypio and on Twitter @EagleCountyPIO. Available to assist the public and media, the JIC can be reached at 970-748-5908 and operates from 7 a.m. to 10 p.m. throughout the event. First up: the Men's Giant Slalom Run 1 at Red Tail Finish Stadium in Beaver Creek. Gates will open at 8 a.m. Start time is at 10:15 a.m., followed in the afternoon by the Men's Giant Slalom Run 2 at 2:15 p.m. Parking options in Avon will include the Elk, Bear and Rodeo lots. Follow @Vail2015 on Twitter for current updates on parking lot status. Crowds are expected to be heavy during this holiday weekend so plan on arriving early for the best seats and to enjoy the pre-race activities. Spectators are reminded that all bags will be searched prior to entering both venues. For important information on the bag screening process, visit the Event Venues page at www.vailbeavercreek2015.com. Catch the Athlete Signing in Beaver Creek Village at 4:30 p.m. and the GS medal ceremony at 6:30 p.m. at Championships Plaza in Vail. This will be followed by a free concert with Matisyau. Lone Star Security & Safety Services has been selected as the private protection company for the 2015 Alpine World Ski Championships. Working closely with local, state and federal law enforcement agencies as well as supervising a contingency of security volunteers, Lone Star’s 200 plus officers, supervisors and directors are on duty day and night throughout all venues and for all events. Lone Star Security officers have completed over 125,000 bag checks through Day 11. Emphasizing security through safety and customer service, the men and women of Lone Star are trained for every situation from a lost child to a disgruntled guest. Lone Star’s security personnel check bags, secure venues and provide safe access for medical personnel in the event of an accident. Well-versed in situational awareness, incident de-escalation and customer satisfaction for those attending or working the numerous events and celebrations on and off the mountain, Lone Star Security creates a proactive and positive environment for the championships. As one of Colorado’s largest security firms, Lone Star Security & Safety Services business philosophy begins with its employees and ends only after the event is over. From a full-time professional staff of specialists to an in-depth hiring and training process designed to attract only the best and brightest in the region, Lone Star prides itself on simply being the best. By providing skill and knowledge in such areas as personal protection, property and facility safeguards, event management as well as the numerous training seminars offered, Lone Star is at the forefront of security and safety services. For more information on Lone Star Security & Safety Services go to www.LoneStarSecure.com or call direct to 1-800-783-1918. The thin, arid air dries out your skin and airways Sweat evaporates more quickly, so your body produces more of it. We lose more moisture in our airways and lungs because we are breathing faster and more deeply than at sea level. This process is multiplied by exercise. Visitors are off their normal schedule and without access to usual fluid sources. In addition, people tend to drink more alcohol on vacation, which is also dehydrating. Low oxygen levels can cause mild nausea, causing people to eat and drink less. These processes can easily result in a 50 percent increase in daily water losses, especially for someone who comes directly from a humid, low altitude environment. Your body realizes that it needs to start conserving water in its new, dry environment, but it takes several days for those changes to kick in. It is during the first few days that proper hydration is especially critical. For the average healthy person, consuming 50 to 100 percent more fluids the first few days at altitude is recommended. The great majority of this should be in the form of water. If your appetite is small and you are eating less, you may want to add a sports drink like Gatorade. Anyone with medical problems such as hypertension or heart disease should, of course, consult with their physician before a trip to altitude. 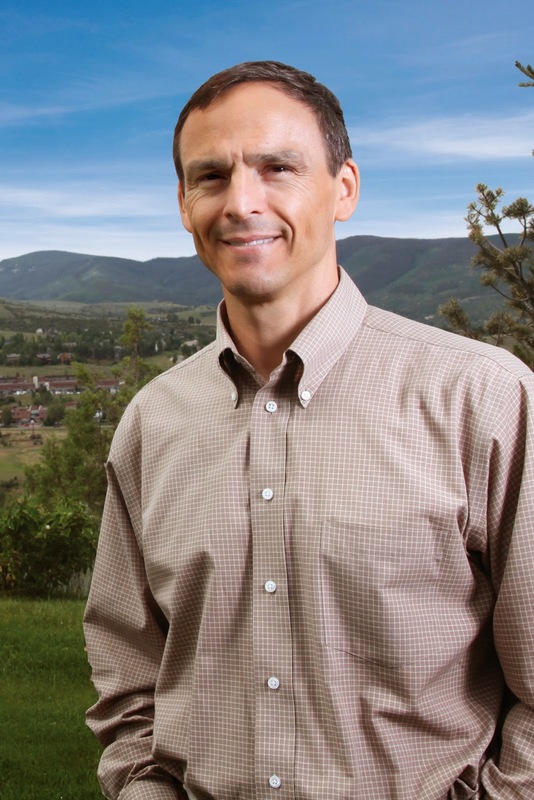 Dr. Dennis Lipton is a board-certified internal medicine physician at Vail Valley Medical Center. 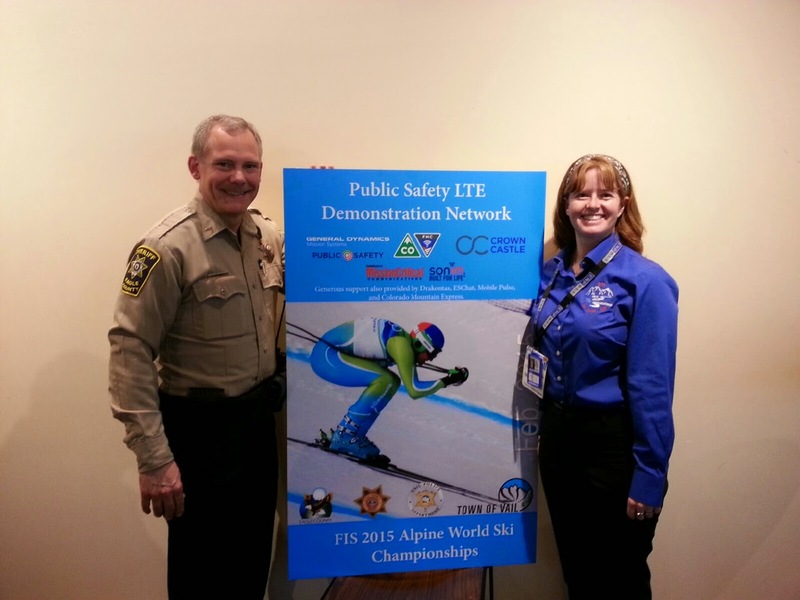 As part of the 2015 World Alpine Ski Championships, the Town of Vail has partnered with Colorado’s Office of Information Technology to bring a public safety broadband network demonstration system to Vail and Beaver Creek. Having gained a temporary license from national FirstNet Board to operate on the public safety-only spectrum, the TOV and Colorado OIT worked with Crown Castle and General Dynamics to place four sites on the Distributed Antenna System in Vail to provide connectivity. A Cell on Wheels was used in Beaver Creek to provide coverage and connectivity back to Vail. Public safety professionals have been using 30 handheld devices, provided by Sonim, to access apps by Drakontas and ESChat. These two apps provide push-to-talk capabilities and situational awareness for police, fire and emergency management system personnel in the field. Agency reps Kevin Kromer and Jennifer Kirkland. During the championships, 50 guests from vendors, media and government agencies have toured the Beaver Creek and Vail site. There were presentations about the project by the Colorado OIT, General Dynamics and Crown Castle. Field responders who used the system during the championships gave positive reviews. The demonstration successfully showed the benefits of a dedicated public safety network, especially in large venues. On Thursday skiing fans will have several options at two different venues! Option 1- The Ladies' Giant Slalom Run 1 at Red Tail Finish Stadium in Beaver Creek. Gates will open at 8 a.m.; start time is at 10:15 a.m. Parking options in Avon will include the Elk, Bear and Rodeo lots. Follow #Vail2015 on Twitter for current updates on parking lot status. Option 2- The Men's Giant Slalom Qualification Run 1 at Golden Peak Stadium in Vail. Gates will open at 8 a.m.-start time is at 10:15 a.m.
For available parking in Vail, please check out the previous blog "Ski Championships Venue Reminder." Arrive at least one hour early for the best seats and to enjoy the pre-race activities. Spectators are reminded that all bags will be searched prior to entering both venues. 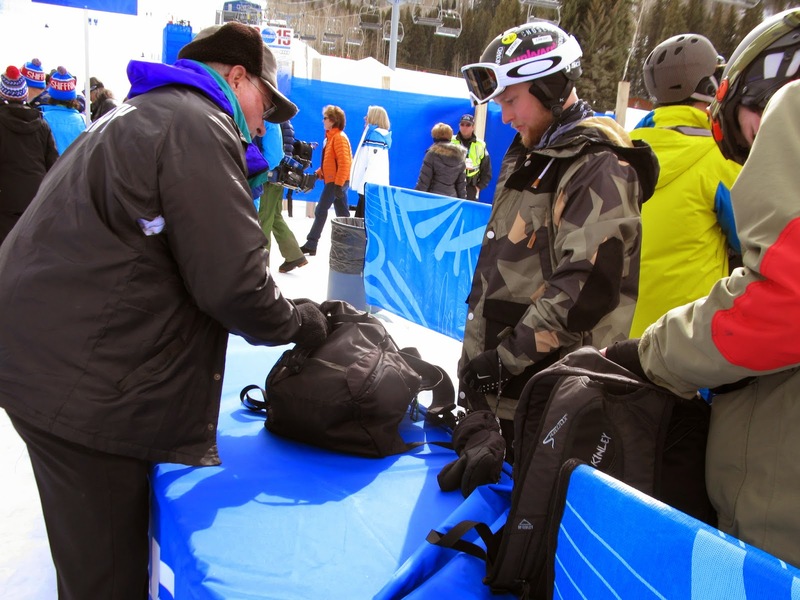 For important information on the bag screening process, visit the Event Venues page at www.vailbeavercreek2015.com. 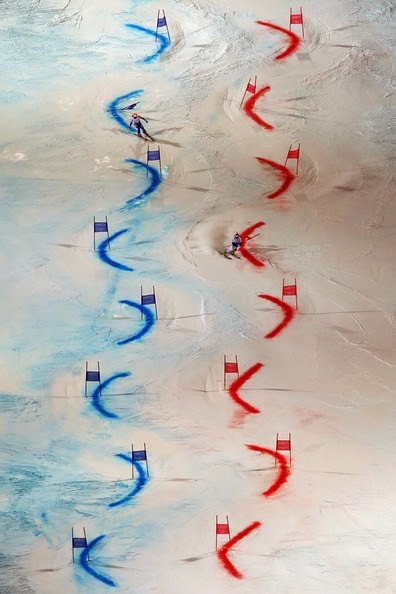 Option 3- The Ladies' Giant Slalom Run 2 at Red Tail Finish Stadium in Beaver Creek. Start time is at 2:15 p.m.
Option 4- The Men's Giant Slalom Qualification Run 2 at Golden Peak Stadium in Vail. Start time is at 2:15 p.m. Complete the day with the Ladies' Giant Slalom Medals Ceremony in Championship Plaza (Solaris) in Vail @ 6:30 p.m. This will be followed by a free concert with Phillip Phillips. OPTIONS! OPTIONS! OPTIONS! *HAVE A GREAT DAY* OPTIONS! OPTIONS! OPTIONS! Events like the 2015 World Alpine Ski Championships don't just happen. When the Federation of International Skiing announced that Vail-Beaver Creek would host the championships in 2015, the Vail Valley Foundation, Vail and Beaver Creek mountains, and the community-at-large knew it needed to pull together to make this event happen seamlessly. To do this, a unified Interagency Command Post was established. The ICP operates behind the scenes using a standard management hierarchy and procedures for managing personnel, facilities, equipment and communications during the 2015 Alpine World Ski Championships. More than 120 federal, state and local public safety agencies and organizations are involved. The ICP is being led by four commanders and will operate until championships ends. One of these commanders is Chief Dwight Henninger, Chief of Police in Vail, since 2002. Prior to coming to Vail, he was the Director of the Colorado Regional Community Policing Institute and the Colorado Police Corps in Golden. 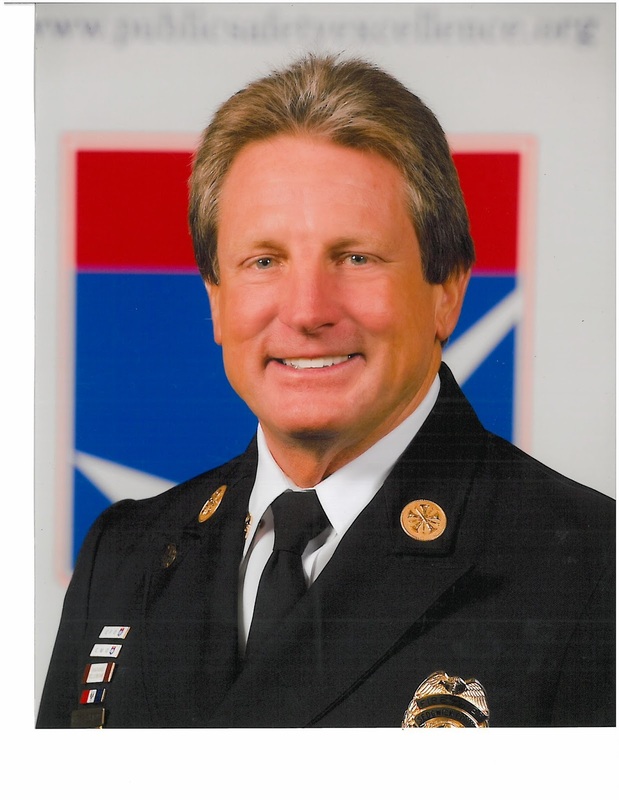 In 2007 he was the President of the Colorado Association of Chiefs of Police and is currently a Vice President for the International Association of Chiefs of Police. He is the chairperson of the 2015 Alpine World Ski Championships Security Committee. Paramedic Services located in Edwards. Morrison started his career at the ECPS as an emergency medical technician, and was later promoted to field supervisor then operations manager and finally CEO. 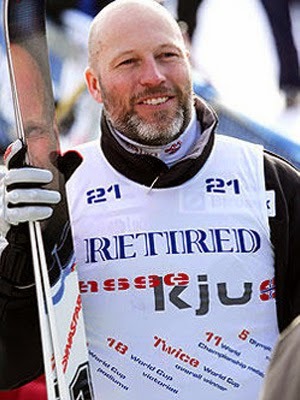 In addition to participating and planning for the 1989 and 1999 Alpine World Ski Championships, he has taken part in major events including the 2001 World Mountain Bike Championships, Teva/Go Pro Mountain Games, USA Pro Cycling Challenge and the annual World Cup Ski Races. Then there is Sheriff James van Beek, a Colorado native, with more than 20 years of diverse law enforcement and leadership experience, both locally and internationally. van Beek embarked on his law enforcement career in 1989 with the Eagle County Sheriff’s Office. In 1999, he began working for Vail Resorts as the security supervisor on Vail mountain. International experience took hold in the fall of 2000 with his first tour serving the United Nations mission in Kosovo. Yet another international call-to-duty was answered with a mission to Afghanistan to help establish a democratic police force there. This tour lasted from the spring of 2006 until the fall of 2010. 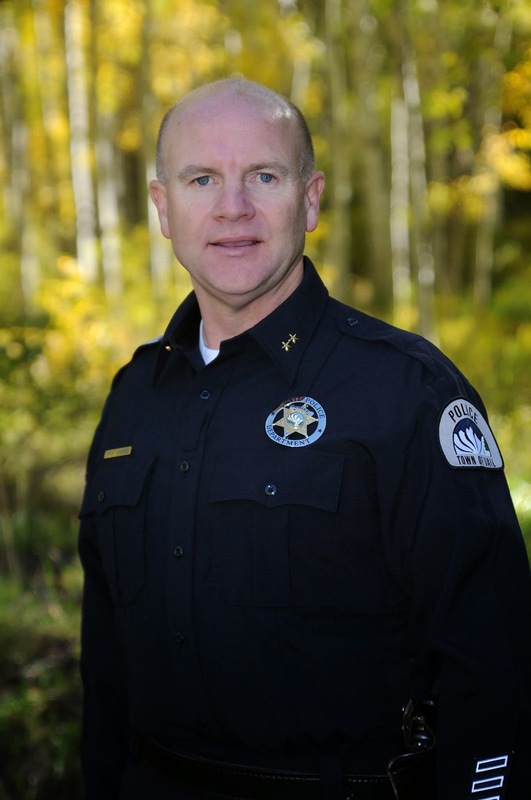 Now back in Eagle County, van Beek was elected Sheriff in 2014. Finally, there is Major Barry Bratt, District Four Commander of the Colorado State Patrol. He started his law enforcement career as a patrol officer with the Westminster Police Department in Colorado. In 1996, he graduated from the Colorado State Patrol Academy as a State Trooper. In 2005, he was part of a team that began the initial implementation of the Homeland Security branch within the Colorado State Patrol. To date, under the direction of these four commanders, thousands of hours have been logged by personnel under their direction. This is in addition to the 2,200 volunteers seen throughout the event. Watch a legend this afternoon! The Korbel Legends of Skiing, America’s original Pro/Am celebrity ski event this afternoon at Golden Peak Stadium in Vail begins at 1:30 p.m. Former Olympic, World Cup and World Champion skiers compete against the clock and each other on the Golden Peak racecourse as some of the past world champions engage in a friendly but fierce competition to prove that they still have what it takes. Spectator bag check will be in effect for all viewing areas. 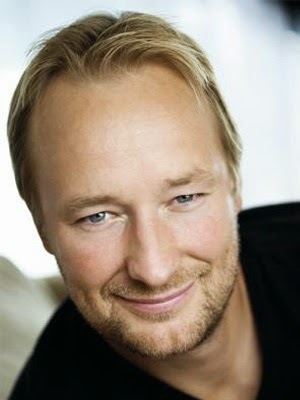 Racers from around the world will include: Legends of Honor Kjetil Andre Aamodt/Norway and Lasse Kjus/Norway. Some of the countries represented in today's race include Norway, Austria, USA, Switzerland, Croatia, Finland, Sweden, Liechtenstein and Luxemburg. For more information on events happening during the FIS Alpine World Ski Championships, Feb. 2-15, visit the official site at www.vailbeavercreek2015.com or download the Vail 2015 app from the Apple and Android store. 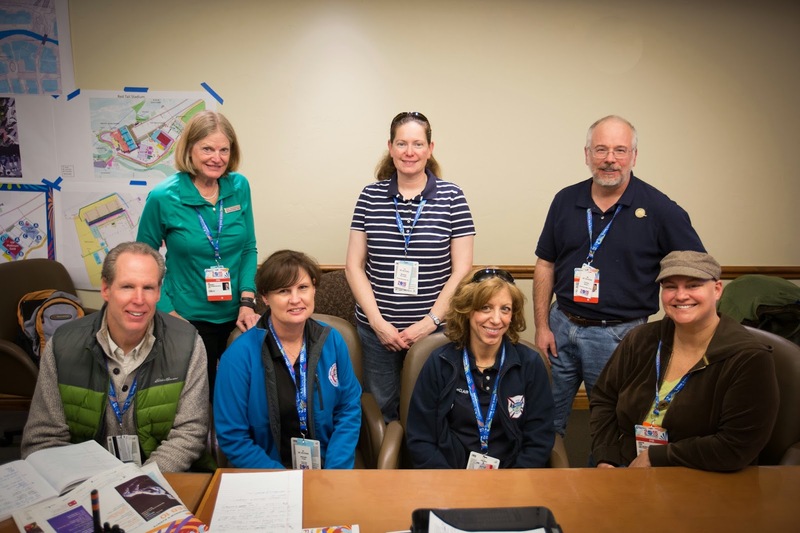 Copper Mountain Fire Chief Gary Curmode is serving as the liaison agency representative for the Vail Valley Foundation (VVF) in the Emergency Operations Center (EOC) for the FIS Alpine World Ski Championships. His job is to assist VVF with information to disseminate to other members of the EOC. Likewise, if the EOC receives important information that may affect the VVF in the field and the ski venues, either directly or indirectly, he expedites this information to them. In Gary’s words, “it is a privilege to work with the caliber of people in both the VVF and the EOC. They are first class!” The Copper Mountain Fire Department is located 19 miles east of Vail on Interstate 70. Nearly all emergencies begin the same way: with a 9-1-1 call made. In Eagle County, those calls, as well as non-emergency calls, are answered by 24 Vail Public Safety Communications Center 9-1-1 dispatchers. 24/7/365, they are first “on scene” of police, fire and EMS calls, and are the lifeline between citizens and the help they request. During the 2015 Alpine World Ski Championships, we are proud to be working alongside — literally! — our partners at Colorado State Patrol Dispatch. CSP dispatchers are working from a remote station set up inside the normal communications center, dispatching the troopers who are assigned to the event. 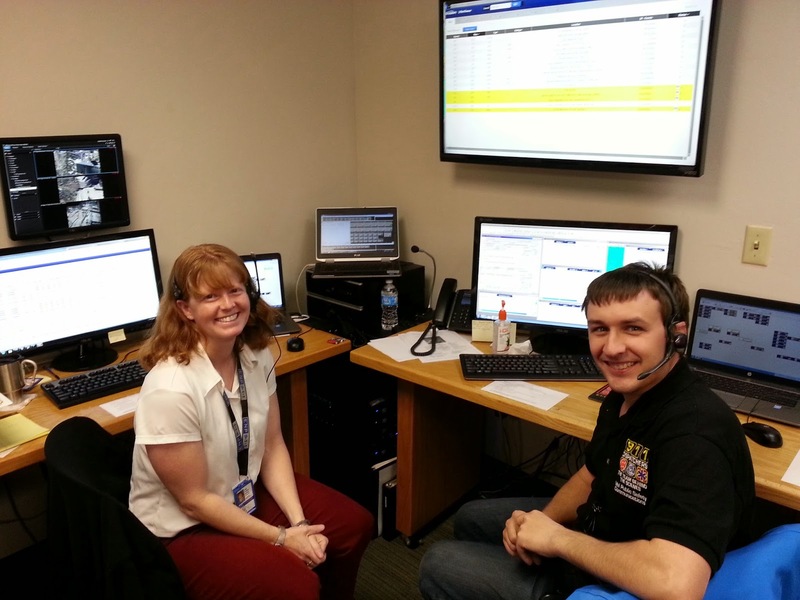 Dispatchers Jennifer Kirkland and Robert Petrowsky. In addition to our event staffing in the communications center, the Event Command Post is staffed daily with two dispatchers per shift, two shifts each day. “The work these fine people do, both during the 2015 Alpine World Ski Championships and every day, is selfless, tireless work. They really go above and beyond the call of duty,” says Tom Banker, VPSCC Director. VPSCC is proud to be a part of the public safety team! 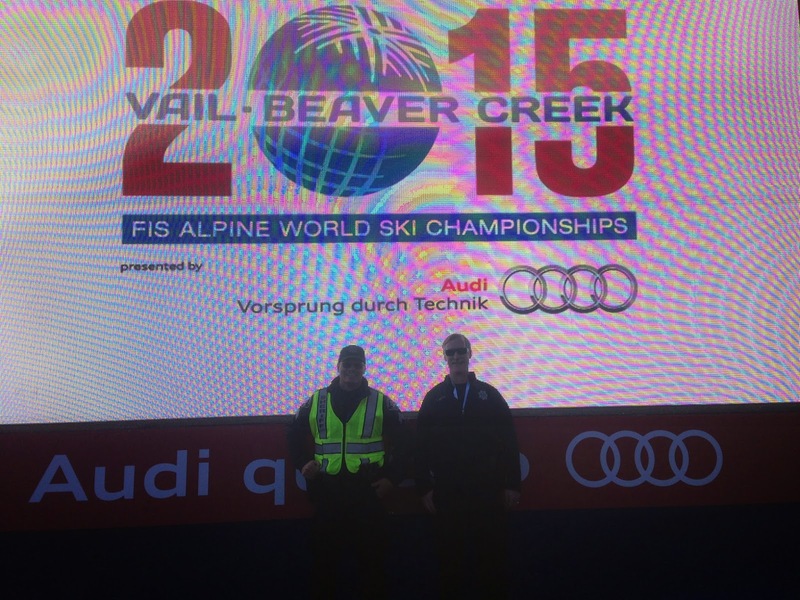 Greenwood Village Police Department generously loaned officers to Vail Police for the 2015 FIS AWSC. Greenwood Village’s philosophy of commitment to community relations has continued through to their roles at the Championships. Officers assigned to the Red Tail Stadium and Championships Plaza venues have worked to ensure spectators, visitors, volunteers and locals have the best experience possible while in Vail and Beaver Creek. 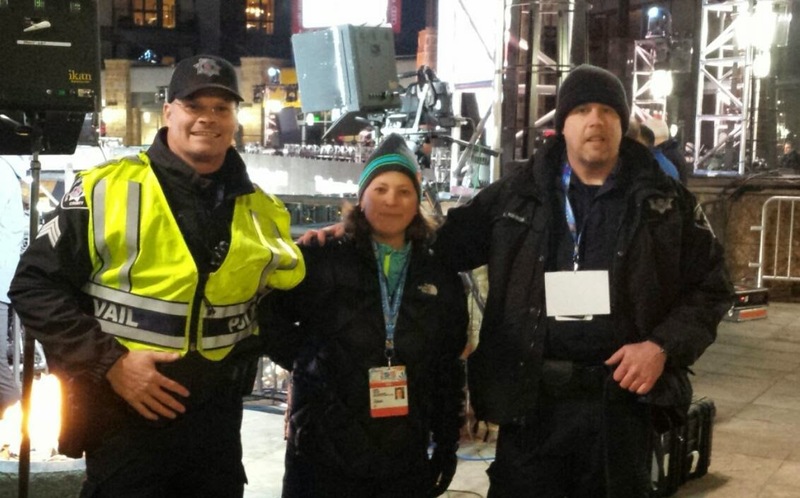 Greenwood Village Police Division Commander Joe Gutgsell and four additional officers are providing many hours of service to the Vail community at the championships. The officers have been successful in achieving their goals of fostering law enforcement relationships, serving as community ambassadors, continuing to learn about large event planning and having fun. 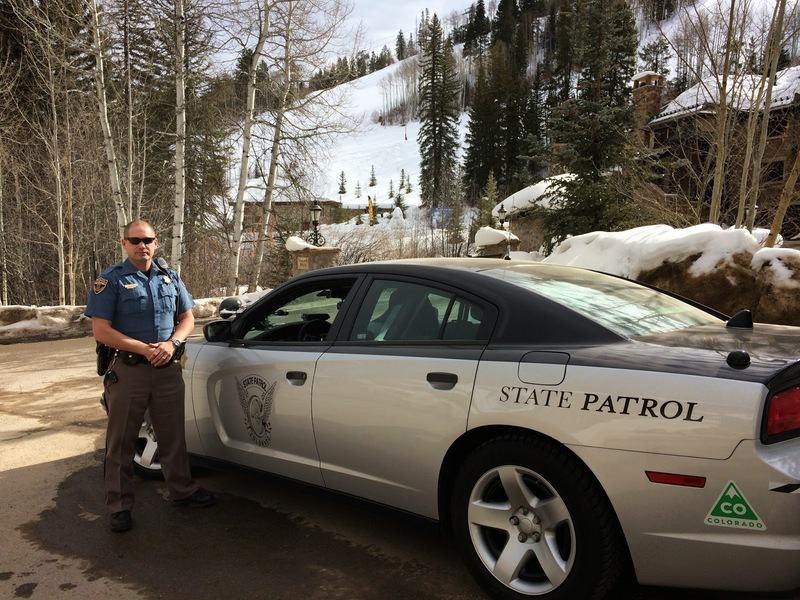 Having worked in Vail during his first year of law enforcement, Commander Gutgsell was pleased to return to Vail and assist Vail Police with security for the ski championships. Commander Gutgsell brings 22 years of law enforcement experience and is thrilled officers Wade Hackett, Amy Aki, Cristy Floerchinger and Mitch Parks have been able to experience the event and bring their experiences back to Greenwood Village. Large events such as the papal visit in 1993 in Denver and the 2015 FIS AWSC in Vail are possible through the partnerships created among local, state, and national law enforcement communities. These events offer great opportunities to continue law enforcement’s commitment to community without jurisdictional boundaries. 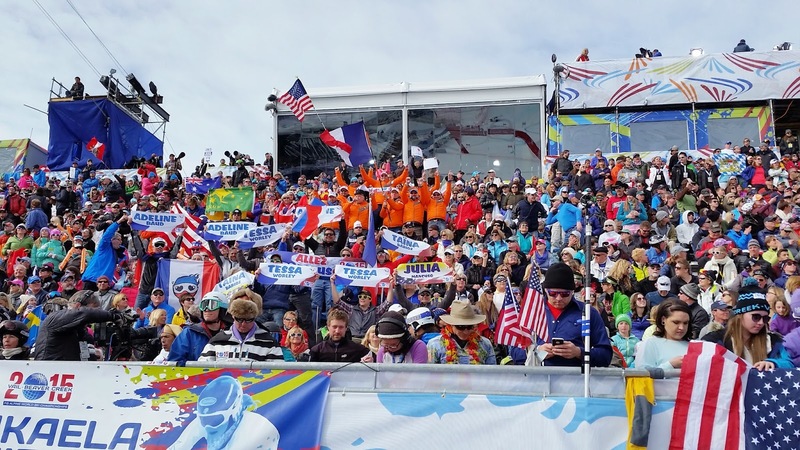 On Day 9 of the 2015 FIS Alpine World Ski Championships, the fun moves to Golden Peak Stadium in Vail for the Nations Team Event. Gates will open at noon. Seats will be limited, so plan to arrive early or be prepared to stand on the snow for this exciting event. The Nations Team Event is the only team race in the World Championships program. Teams of 4 athletes (2 men, 2 ladies) compete on a parallel GS course in head-to-head match-ups. Each skier gets a chance to race on both lanes of the parallel course, after which the team with more head-to-head wins advances to the next round. The event has a maximum of 16 teams. Spectators are reminded that all bags will be searched prior to entering the Golden Peak Stadium. For important information on the bag screening process, visit the Event Venues page at www.vailbeavercreek2015.com. Please note that Vail Valley Drive will have traffic restrictions in place on Feb. 10 from noon to 4:30 p.m. Residents should approach from the east. ADA parking and drop-off is available at the Golden Peak Lodge and the Golden Peak Children’s Ski School. Free parking will be available in Avon at the Elk, Bear and Rodeo lots with free shuttles to Vail on the Vail/Beaver Creek Express. There are approximately 2,500 close-in parking spaces available at Vail’s two parking garages. The parking spaces, 1,800 of them covered, allow skiers and snowboarders quick and easy access to Vail Mountain via Gondola One in Vail Village, Eagle Bahn Gondola in Lionshead or Riva Bahn ski lift at Golden Peak. The $25 all day rate is good seven days a week for a 24-hour time period, which begins when entering the structure. Cash and credit cards (Visa/MasterCard) are accepted. The Frontage Road will be used as overflow parking when all other lots are filled. Please refer to the variable message signs located at the Main Vail off ramps at exit 176 to make sure the overflow parking option is legally available upon your arrival. Hosts at the parking garages will be on hand to advise you about available parking options. Once the Frontage Road has been released for overflow use, park on the I-70 (north) side of the roadway, leaving as much shoulder area as possible for your safety; avoid blocking driveways; and leave plenty of space, as much as 50 feet, at intersections. Perimeters on the Frontage Road which prohibit parking will be clearly marked. During overflow situations, this parking is free and available until 11 p.m.
Free outlying parking is available from 7 a.m. to 11 p.m. All areas listed below are serviced by the Town of Vail transportation system. Bus frequency varies from 15 minutes to 1 hour depending on the time of day. Red Sandstone Park (15 spaces); North Frontage Road (70 spaces); West Vail, across from the West Vail Mall. For directions, call 970-479-2104. 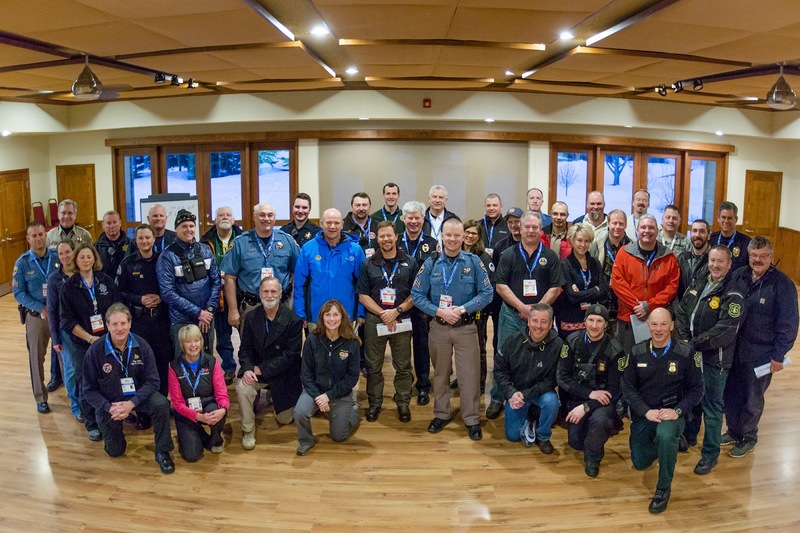 The Colorado State Patrol has been involved in the planning, coordination and implementation of the safety and security efforts for the 2015 Alpine World Ski Championships. State troopers have members assigned to many different aspects of the event both on and off of the highway. One member of the Colorado State Patrol is assigned as part of the three agency unified command, acting as one of three commanders. One trooper is assigned to the Joint Information Center as a Public Information Officer. Other troopers are assigned to fixed posts on the road to Beaver Creek, ensuring proper credentialed individuals and vehicles leading to the Red Tail finish venue. State troopers are assisting with traffic in the Avon and Vail areas, and will often be seen directing traffic into overflowing parking lots. Troopers are also assigned to the I-70 corridor enforcing traffic laws 24 hours a day. In the case of inclement weather, resources will be reassigned as necessary to ensure the smooth flow of traffic in and around the Eagle Valley. Good neighbor relationships are built by reaching out and assisting other law enforcement agencies at both planned events and during emergencies. 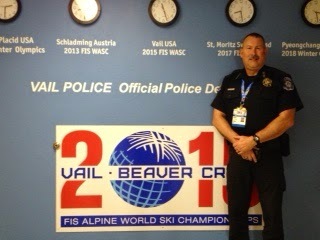 That's why Park County Sheriff Fred Wegener is here working as a liaison officer during the 2015 Alpine World Ski Championships. Liaison officers work with incident and event management teams to establish and maintain strong relationships with stakeholders within involved communities and those affiliated with major events. The opportunity to work as a liaison officer provides knowledge and insight for future emergency incidents and event planning and builds camaraderie amongst all levels of government agencies involved. "Assisting at the Championships allows Park County to give back the assistance we've received during major events, including wildfires and school shootings,” said Sheriff Wegener. A Colorado native, Wegener served for six years in the U.S. Air Force as a military police officer. After his time in the military, Sheriff Wegener continued his 28-year career in law enforcement and was recently re-elected to his fifth term as Park County Sheriff. The mission of the Park County Sheriff’s Office is to provide honest and reliable service to its citizens through professionalism, respect, integrity, dedication and excellence. The professional commitment to the public through dedicated service remains a consistent theme of all partners to the 2015 FIS Alpine World Ski Championships. Another monumental day is expected for spectators at Red Tail Stadium in Beaver Creek for Day 8 of the Alpine World Ski Championships. 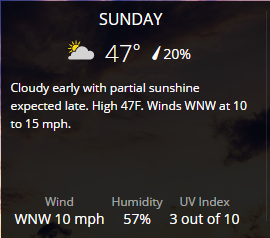 Temperatures in the low 30°s may greet you at 8 a.m. rising to a projected high of 49° F. Please don’t forget your sunglasses, lip balm and sunscreen – leave the “beet-red” look to fire trucks. Be sure to keep yourself well hydrated throughout the day. Though ample parking is available (Bear, Elk and Rodeo lots), it is suggested to arrive early to ensure your safe and timely journey to the stadium. Arrive later than planned? Not a problem - take advantage of free shuttles and parking in Vail. The Ladies’ Alpine Combined dual race starts at 10 a.m. with the Downhill Run and followed up at 2:15 p.m. with the Slalom Run. Lindsey Vonn returns with a repeat podium appearance in her sights. Others to watch include Anna Fenninger (Austria) and Tina Maze (Slovenia). New to Alpine Combined? This race consists of one run of downhill and two slalom runs. The fastest aggregate time determines the winner. Having passed the halfway mark of the Alpine World Ski Championships, the success of this event would not be possible without you. We applaud your efforts to embrace the public safety outreach message of “See Something, Say Something” which encourages the reporting of suspicious activity to proper local law enforcement authorities. Please visit www.vailbeavercreek2015.com for more details on races and events. Have fun and smile! With great ski racing, enthusiastic crowds and festivities lasting into the evening, there’s plenty to love about the 2015 Alpine World Ski Championships and so much to see and do. This includes the Après Avon festivities taking place daily from 2 to 5:30 p.m. at Avon’s Main Street Mall with live music, craft brews, food and more, including the "Locals Drink for Free" offer on Feb. 9. 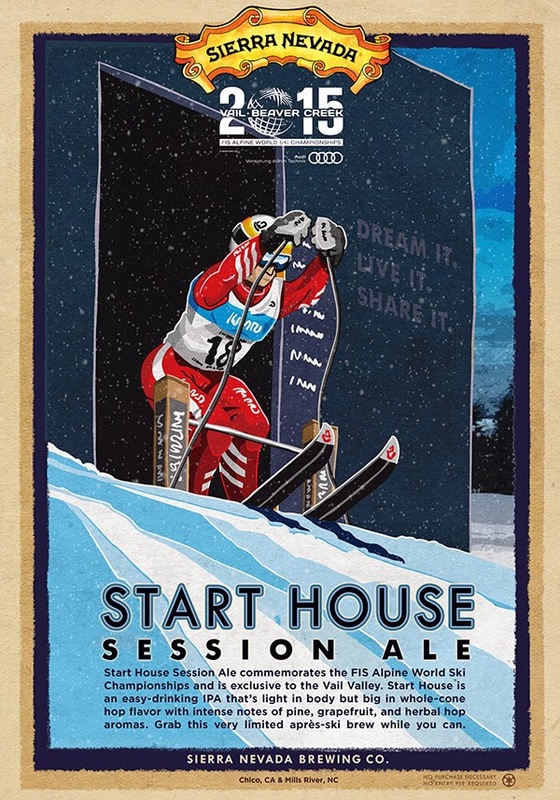 There’s also the Sierra Nevada Winter Beer Camp from 4 to 8 p.m. at the International Bridge in Vail where the official beer of the World Championships, Start House Ale, is served along with a number of other brews. As you look to enjoy the day's sights and sounds, take time to plan ahead and celebrate responsibly by avoiding the dangers of driving under the influence of alcohol or drugs. Use public transportation, take a taxi or arrange for a designated driver to get you home safely. In Vail, you can leave your car in the Vail Village or Lionshead parking structure until 11 a.m. the next day, compliments of the Town of Vail, for exceptional circumstances. It’s just one of the ways to keep you safe. Dress for cooler temperatures in the morning, warming up in the afternoon. Wear breathable clothing that keeps moisture away from the skin. Dressing in layers is always a good idea. The Red Tail Stadium and all Beaver Creek/Avon base parking will reach capacity for the Men's Alpine Combined. Red Tail Stadium gates open at 8 a.m., races begin at 10 a.m. Arrive early. Parking is recommended by 8 a.m. and get to the stadium by 9 a.m. if possible. Options for later arrivals include parking in Vail and taking the free shuttle; watching the races live from Apres Avon, Beaver Creek Village or Championships Plaza at Solaris in Vail; or watching from additional viewing locations on Beaver Creek Mountain noted on the Spectator Access Map. 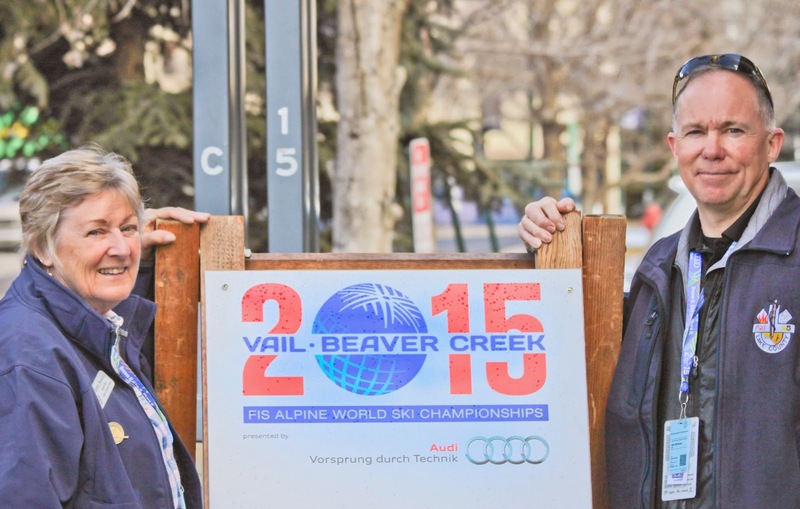 For complete information on all races and events, visit www.vailbeavercreek2015.com. The 2015 FIS Alpine World Ski Championships has been in the planning stages since 2011. Cooperation from many public and private partners has ensured the event’s successful launch. The US Forest Service National Director of Law Enforcement David Ferrell took time to visit with Vail Police Chief Dwight Henninger today about the steps being taken to ensure a safe event for all who attend. Officers from the US Forest Service are assisting in filling multiple law enforcement roles throughout the event. The assistance of neighboring local, state and national law enforcement agencies allows the community’s needs to be met with the same great service they've come to expect. Chief Henninger expressed his thanks on behalf of the Vail Valley community to all US Forest Service law enforcement personnel for their service at the 2015 FIS AWSC. To learn more about the US Forest Service visit http://www.fs.fed.us. Chief Henninger (left) with US Forest Service National Director of Law Enforcement David Ferrell and Dan Nielson, Patrol Commander Rocky Mountain Region US Forest Service. The sun is shining and the lifts are opening, suddenly the skier next to you collapses. Shortly after, the skier is in the professional care of dedicated medical providers from Eagle County Paramedic Services receiving life saving care. Every day the dedicated EMT’s and Paramedics from ECPS serve both skiers and locals. ECPS has a staff of 85 responding to 4,900 calls annually. Part of the commitment to the community includes a community paramedic program in which paramedics provide non-emergency medical care to individuals without access to medical care. This program was the first of its kind in the nation and provides a critical link to an underserved population. The dedicated men and women of ECPS work seamlessly with ski patrol, firefighters, 911 dispatchers and law enforcement to help with medical needs. The commitment to health and safety doesn’t end with medical care, it extends to the provision of community CPR and first aid classes, and child car seat inspections. 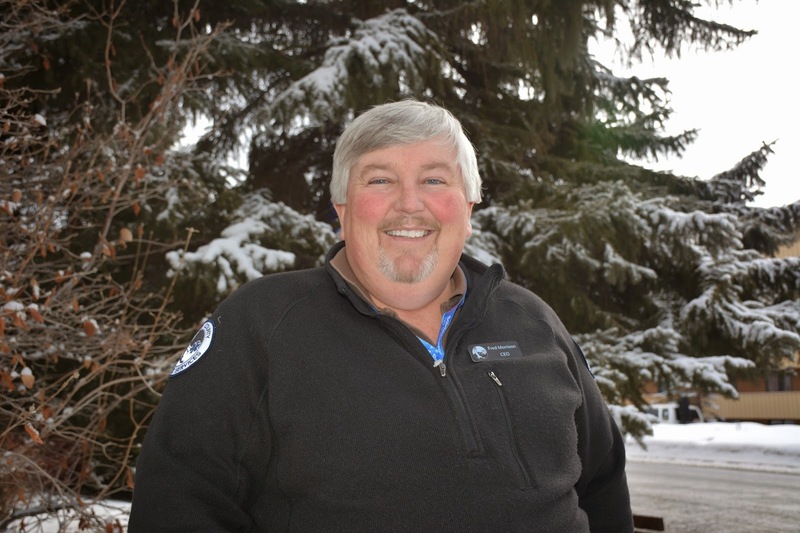 CEO Fred Morrison said Eagle County Paramedic Service is dedicated to providing professional, compassionate and seamless medical care to the community, guests and athletes alike throughout the 2015 FIS World Ski Championships and beyond. http://eaglecountyparamedics.com. Subscribers to Eagle County’s EC Alert system are being encouraged to review their accounts to ensure they are receiving their preferred notifications. Since the start of the 2015 FIS Alpine World Ski Championships, the system has disseminated event and parking updates to the “Traffic” groups. Moving forward, those alerts will be sent to those subscribed to the “Special Events” category. Traffic impacts due to the Championships will continue to be sent to both groups. To update your subscription, visit www.ecalert.org and log in to your EC Alert account; note your log in name will be an email address. Click on the “My Alerts” tab. Under the “Eagle County Alert Areas” section, look for Special Events and click on the “add to group” checkbox to the right. If the checkbox is green and checked, you are already a group member. EC Alert includes updates on traffic, airport, weather and other emergencies. The information is sent to subscribers via e-mail, text or other mobile devices. Alerts can be sent to any mobile devices: cell phones, pagers, Smartphones and PDAs, or via e-mail address.